These are grape varieties that originated in Italy or have taken on distinct characteristics after having been grown in Italy for centuries. Aglianico One of Italy’s three greatest grape varieties and one of its oldest. Best vineyards are in volcanic soils on mountainous slopes. The three Aglianico DOCGs—Taurasi, Taburno, and Vulture—have separate biotypes. Very high acidity and prominent minerality. Usually quite tannic. Aromas & flavors: Floral (red roses), red fruit (sour cherries), plum (esp. from Vulture), leather and herbs (esp. from Taburno), smoke. Capable of long aging. 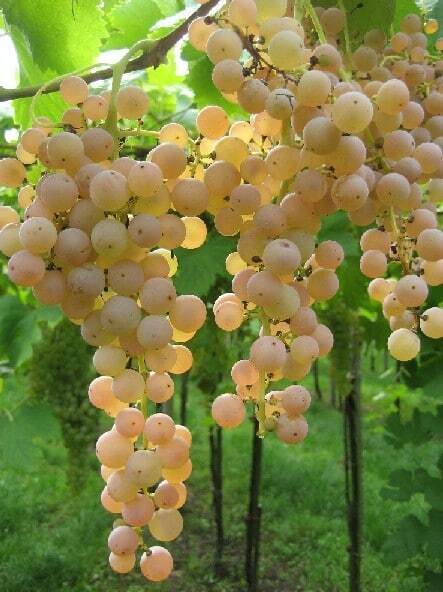 Ansonica Naturally tannic white grape. Light to medium bodied in Sicily; fuller bodied in Tuscany. Golden color. Aromas & flavors: (Tuscany) Citrus; (Sicily) yellow apple, dried apricot. Best DOP: Elba DOC. Arneis Sweet; low in acid. Straw green color. Aromas & flavors: White flowers, chamomile, peach, pear, apricot, citrus, almond. Best DOP: Roero. 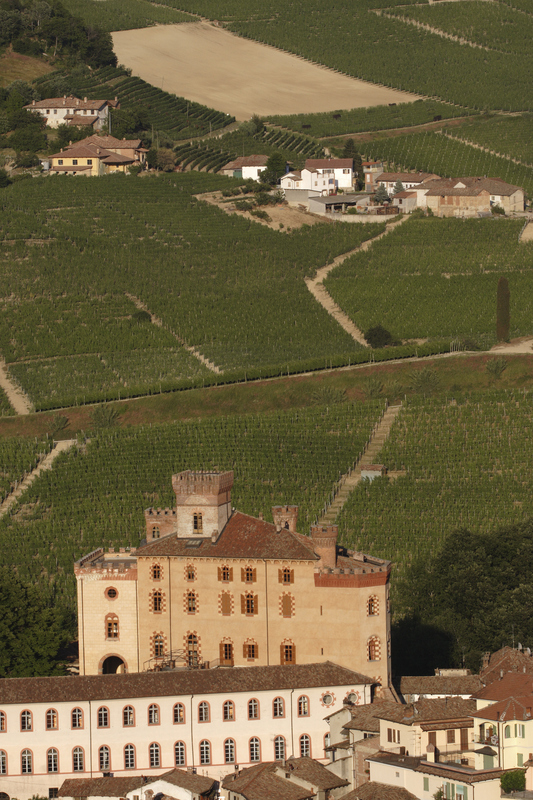 Barbera Native to Piedmont, but now widespread in Italy and internationally. Low in tannin, high in acidity, and deeply purple in color. Aromas & flavors: Tart red fruit (cherry, raspberry), dried herbs, lavender, underbrush, spices. Best DOPs: Barbera d’Asti and Nizza. Bombino Nero Thin skinned, and therefore better for rosato than rosso. Usually added to Negroamaro wines. High acidity; light to medium bodied. Aromas & flavors: Red berries, floral, citrus. Best DOP: Castel del Monte Bombino Nero DOCG. Bovale Two distinct grape varieties: Bovale Grande and Bovale Sardo. 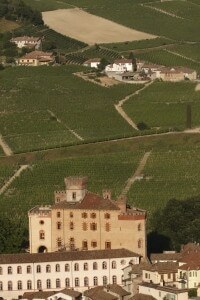 Bovale Grande is similar or identical to Carignano, Bovale Sardo to Spain’s Graciano. Sardo is considered the better of the two. 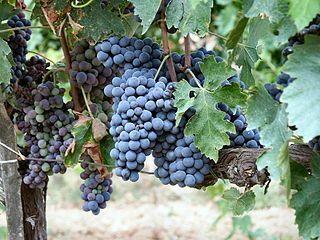 Highly tannic and acidic; can produce deeply colored wines. Brachetto Aromatic red variety. Light bodied. Aromas & flavors: Sour red cherry, raspberry, strawberry, baking spices (cinnamon, nutmeg), floral notes. Lagrein Full bodied, darkly colored, with sometimes harsh, bitter tannins. Aromas & flavors: Blackberry, black plum, black tea, orange peel, cocoa. Offspring of Teroldego. 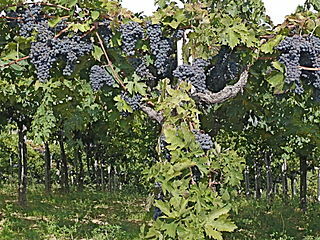 Nebbiolo Aka Spanna in northern Piedmont, Chiavennasca in Lombardy, and Picotener in Valle d’Aosta. Italy’s greatest native grape. Garnet with a telltale orange hue. High in acidity, tannins, and alcohol. Extensive aging potential. Aromas & flavors: Flowers (red rose, violet), sour red cherry, cranberry, tea, tobacco, licorice, sandalwood, truffle. Three main biotypes: Lampia (the “real” Nebbiolo), Michet (a high-quality version of Lampia with fanleaf virus), and Rosé (parent or offspring of Lampia; lighter in color, highly perfumed). Negroamaro High in alcohol. Aromas & flavors: Black fruit, tobacco, shoe polish. 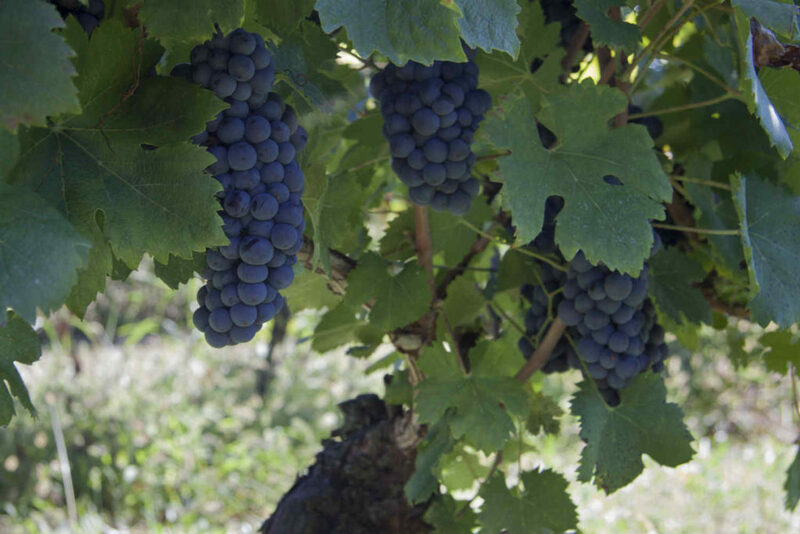 Nerello Cappuccio Early ripening; darker in color but less tannic than Nerello Mascalese. Aromas & flavors: Ripe cherry, vanilla, coffee, minerals, slightly floral. Nerello Mascalese Light in color; tannic. Aromas & flavors: Sour cherry, tobacco, herbs, minerals. Nero d'Avola Often blended with Frappato. Aromas & flavors: Dark red cherry, herbs. Nuragus Delicate aromatics. Best DOP: Nuragus di Cagliari DOC. Raboso Two related varieties: Raboso Piave (aka Friularo) and its offspring Raboso Veronese. Very high in acid, tannins, and anthocyanins (but loses color quickly). Aromas & flavors: Strawberry, black cherry, violet, tobacco, black pepper. Best DOPs: Piave DOC, Piave Malanotte DOCG, Bagnoli Friularo DOCG. Ribolla Gialla Often used for “orange wines.” Very high in acidity. Aromas & flavors: White pepper, lemon, tangerine. Best DOPs: Collio Goriziano DOC, Friuli Colli Orientali DOC. 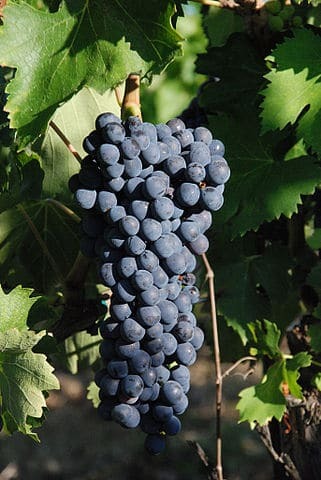 Rondinella Most reliable and least problematic of the Valpolicella varieties. Ruby red color; low in tannin. Aromas & flavors: Neutral, somewhat herbal. Sagrantino Italy’s most tannic grape variety. Aromas & flavors: Black fruit, herbs. Sangiovese Several biotypes, including Brunello, Morellino, Nielluccio, Prugnolo Gentile, Sangiovese Grosso di Lamole, Sangiovese Marchigiano, Sangiovese Montanino, Sangiovese Romagnolo. Light in color. Aromas & flavors: (In warmer areas) sweet red cherry, plum, herbs; (in cooler areas) sour red cherry, red berries, licorice, violet, tea; (with age) underbrush, leather, tobacco. 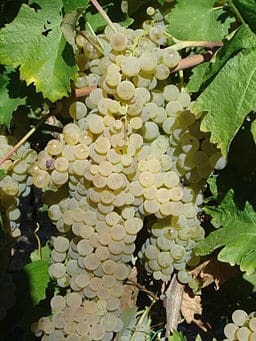 Schiava Group of unrelated varieties, most significantly Schiava Gentile, Schiava Grossa, and Schiava Grigia—typically interplanted and blended together as “Schiava.” Light to medium bodied, pinkish, high in acid. Aromas & flavors: Intense strawberry, cherry, cranberry, almond, violet, red currant, pomegranate. Best DOPs: Lago di Caldaro DOC, Santa Maddalena subzone of Alto Adige DOC. 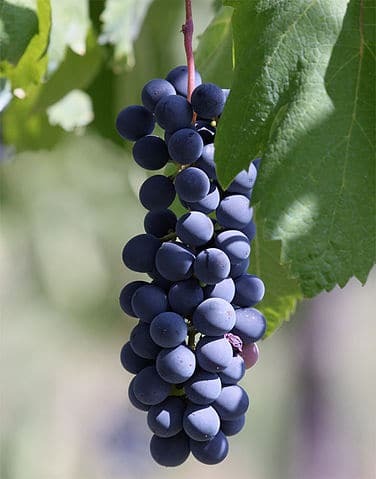 Tai Rosso Tai Rosso is a genetic match to the Garnacha of Spain (Grenache in France and many other countries), as are Cannonau and Vernaccia Nera, but all of them have developed in relative isolation for centuries. Teroldego Darkly colored; soft tannins. Aromas & flavors: Red cherry, quinine, ink, tar, herbs. Best DOP: Teroldego Rotaliano DOC. Related to Pinot Nero. 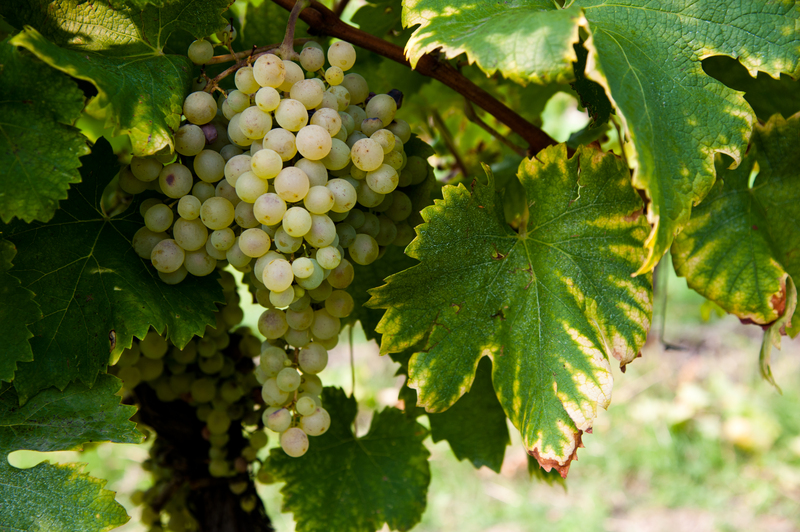 Uva di Troia Blended with other Puglian varieties to give them finesse and freshness. Medium bodied; high in acid. Refined tannins. Aromas & flavors: Red cherry, red currant, black pepper, tobacco, underbrush.